These matters are understandably concerning for the people going through them. That is why our law firm provides one-on-one representation from the free initial consultation and in every moment afterward. Our attorneys personally work with each client to ensure their concerns are addressed. While effective communication is essential, so is having an experienced and knowledgeable lawyer. Our managing attorney is a board-certified specialist in both consumer and business bankruptcy. We are effective in the courtroom and in advising clients on how to best set themselves up for a brighter future. Further, members of our team have earned recognition in the legal community with honors, including being listed in The Best Lawyers in America; earning the highest peer rating possible of AV Preeminent* from Martindale-Hubbell; and being named to the Super Lawyers list. When we are not at our practice, we are involved in organizations such as the North Carolina State Bar, the National Association of Bankruptcy Trustees, the American Bankruptcy Institute and the National Association of Consumer Bankruptcy Attorneys. Janvier Law Firm PLLC accepts credit cards. 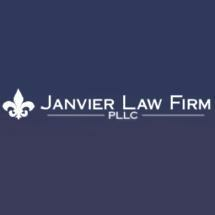 Janvier Law Firm PLLC is a debt relief agency. We help people file for bankruptcy protection under the U.S. Bankruptcy Code.